Copper is an integral part of grid infrastructure because of its reliability, efficiency and performance. Copper’s properties are vital to the interconnected network of plants, devices and lines that generate and distribute electricity and power throughout the country. There are several key pieces of infrastructure that are built to support the delivery of electricity to consumers. 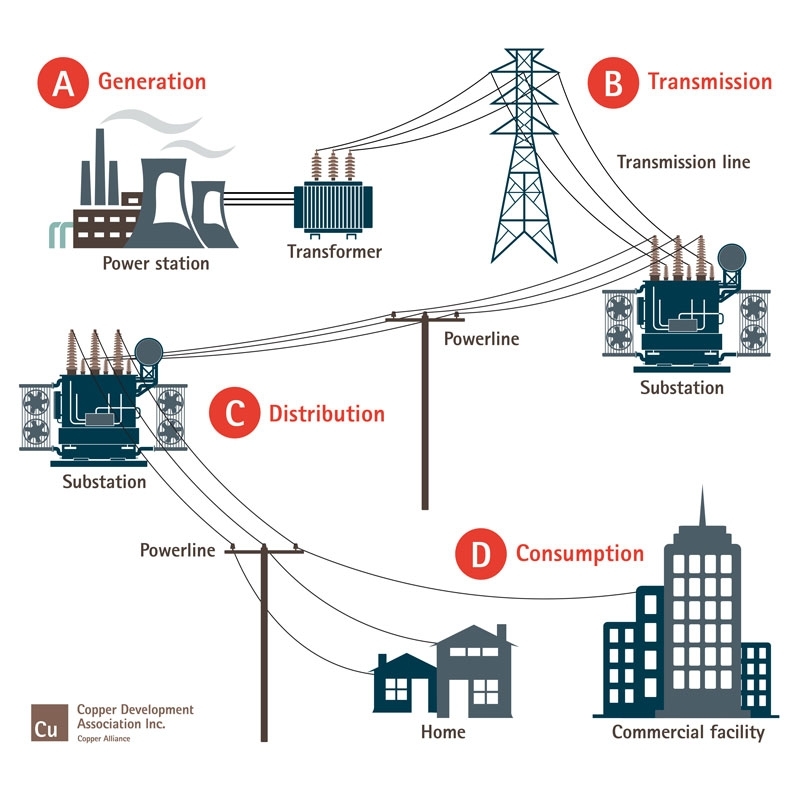 According to the Edison Electric Institute, the U.S. electric transmission network consists of more than 600,000 circuit miles of lines, 240,000 of which are considered high-voltage lines (230 Kilovolts and greater). These networks are designed to transport energy over long distances with minimal power losses. Copper is a key material component of transmission, which consists of structural frames, conductor lines, cables, transformers, circuit breakers, switches and substations. Protection of our nation’s energy grid today has never been more crucial as the FBI has stated that cyber-attacks are the primary threat facing the country. Couple that along with the new Clean Power Plan administered by the White House and US EPA with goals of reducing CO2, there is a major focus on the nation’s infrastructure. Copper continues to be a primary resource for building and protecting our nation’s grid due to its superior reliability, conductibility, and durability. It’s not hard to imagine the role that energy plays in our daily lives — in fact it becomes immediately apparent when we experience even a brief power outage in our home or workplace. Quite simply, it stops us in our tracks.